With sounds and lyrical content as indicative as their moniker implies, The Complex Dialect blend jazz, blues, hip-hop and rock in the makings of their progressive tunes. Their atmospheres are indeed complex, yet, incredibly easy to get lost in. 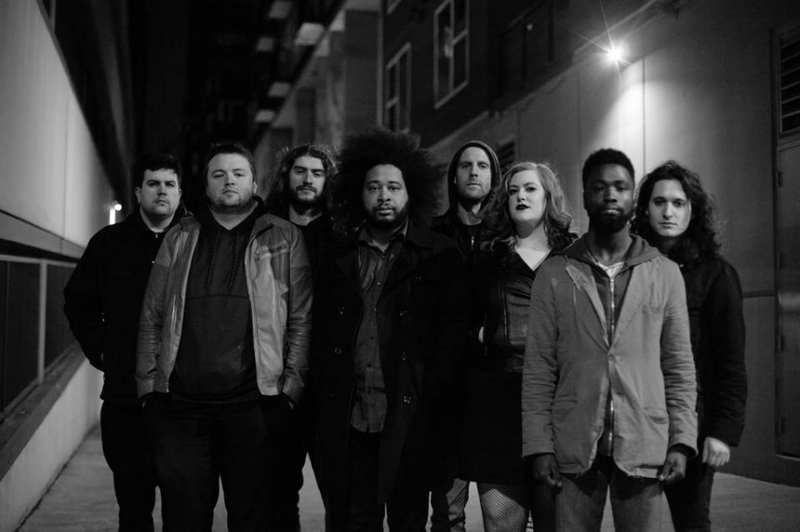 For a band comprised of eight members that makes total sense, as each contributing element help make The Complex Dialect one of the more dynamic newer acts to hit the scene. Their debut album Change shows that. With Change, the band has tried to symbolize the problems and solutions in our current state of the world. Each song hones in on subjects fraught but true with society (like police brutality and capitalistic slavery), meant to spark internal and external debate and reflection through music. The Complex Dialect contend their intention is to hearten the dispirited, stating that "We look for non-conventional solutions to conventional problems. We strive to be the change we want to see in the world." Feel the change and listen to one of the album's tracks "Look For A Friend For The End Of The World" below.